Jerimy Cunningham is associate professor of anthropology at the University of Lethbridge in Alberta, Canada. He has conducted archaeological research in the Northern Plains, Eastern Woodlands, and American Southwest. His doctoral research (at McGill University) was an ethnoarchaeology project in the Inland Niger Delta of Mali that combined a study of the marketing strategies that female craft specialists used to distribute their ceramics with an analysis of consumer tastes for ceramic, plastic and metal domestic vessels. His research interests focus on the epistemology of archaeology, analogical reasoning in archaeology, ethnoarchaeology, economic anthropology, Postcolonial approaches and Marxist theory. 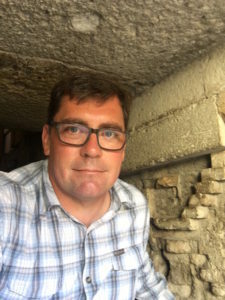 He is the coeditor of Modes of Production and Archaeology (with Robert Rosenswig), has written extensively on ethnoarchaeology’s role in archaeological interpretation, and is currently working on a monograph titled Ethnographic Analogy and Archaeological Interpretation: Toward a Pluralistic Archaeology. His most recent field program is a series of archaeological surveys and excavations in the Santa Clara Valley of Chihuahua, Mexico that combines Marxist approaches with insights from the New Materialism to understand how inequality emerged across the Casas Grandes Region. 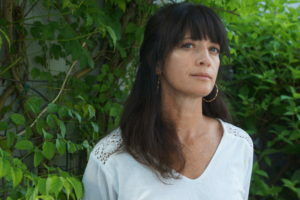 Pamela L. Geller is Associate Professor of Anthropology at the University of Miami. As an anthropological bioarchaeologist, her research starts from the premise that material and human remains communicate crucial information about the socio-political processes impelling the production of identity. In publications, she brings together varied concerns—bioarchaeology and biohistory; critical social theories about gender, sexuality, race, and nation; bio-politics and necropolitics; cultural heritage; socio-politics of the past; and bioethics. She is the author of The Bioarchaeology of Social-Sexual Lives (2017, Springer Press) and co-editor of Feminist Anthropology (2006, Penn Press). Her current book-in-progress, titled Your Obedient Servant, is based on her biohistorical study of Samuel G. Morton and his controversial crania collection. Additionally, Geller has conducted fieldwork in Israel, Hawai’i, Belize, Honduras, Perú, and Haiti. 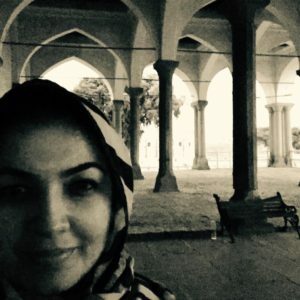 Uzma Z. Rizvi is Associate Professor of Anthropology and Urban Studies at the Pratt Institute, Brooklyn, NY, and a Visiting Researcher at the American University of Sharjah, UAE. Rizvi’s research interests include decolonizing archaeology, ancient urbanism, critical heritage studies, new materialism, and the postcolonial critique. A primary focus of her work contends with archaeological epistemologies and methodologies, and changed praxis based on decolonized principles and participatory ethics. Rizvi has intentionally interwoven archaeology with cultural criticism, philosophy, critical theory, art and design. Her new monograph, The Affect of Crafting: Third Millennium BCE Copper Arrowheads from Rajasthan, India (in press) follows other publications including volumes such as Archaeology and the Postcolonial Critique (2008), Handbook on Postcolonial Archaeology (2010), and Connections and Complexity: New Approaches to the Archaeology of South Asia (2013). Most recently, her article, ‘Critical Heritage and Participatory Discourses in the UAE’ (2018) was published in a special issue on Decolonising Design in the journal, Design and Culture. Rizvi specializes in studying third millennium BCE communities in the MENASA region, as well as being a critical voice for global issues related to issues around equity and justice.